Senator Shehu Sani representing Kaduna central in the red chamber has denied demanding automatic ticket from the APC while being interviewed on Sunday Politics, a Channels Television programme. According to the Senator who lost the party’s senatorial ticket to El-Rufai’s candidate, Uba Sani, despite having the backing of the National Working Committee (NWC), one has to be in the good book of a Governor or somebody close to the seat of power to emerge a candidate of the APC. “There was no time I demanded that I should be given automatic ticket. Last July, there was an uprising in the national party whereby legislators decided to decamp and I was part of the team but I was held back through the intervention of Bola Tinubu and President Buhari. “They gave me the assurance that the issues prompting me to leave the party will be addressed. “There were discussions and promises whereby those of us who have raised issues of problems with governors of our state will be addressed. “For you to emerge as a candidate in the APC, first of all, you have to have somebody close to the seat of power, secondly if you are in the favoured book of the governor,” he said. 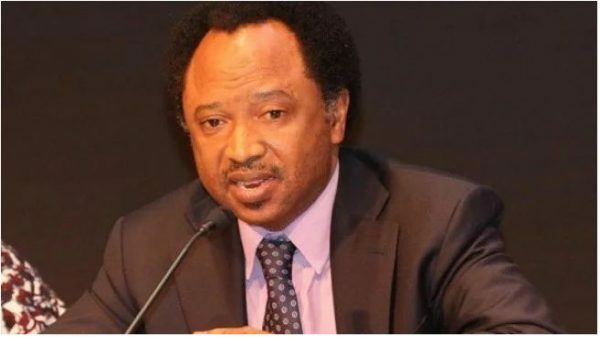 The post “They Gave Me The Assurance That The Issues Prompting Me To Leave The Party Will Be Addressed” – Senator Shehu Sani Reveals How Tinubu, Buhari Tried To Stop Him From Dumping APC appeared first on LATEST NIGERIAN NEWS BREAKING HEADLINES NEWSPAPERS.